Begin your journey attend a free seminar! The time to regain your health is now! Shed those pounds and get the beautiful body you have always dreamed about! If you’ve struggled with weight loss and have been considering weight loss surgery, now is the time to act. Gastric sleeve is a safe and effective surgical procedure for long-term weight loss. When all other options have failed, you can still have hope for a beautiful new you. Enrique Whittwell, MD is offering the gastric sleeve procedure for an unbeatable, all-inclusive price of $9,999. He also accepts most major insurances, but for those who do not have insurance or whose insurance doesn't cover weight loss surgery, our all-inclusive price cannot be beat. Our package includes everything you need for your weight loss surgery: labs, EKG, anesthesiologist, surgeon fees, hospital fees, pathology, nutritional plan, and 12 months of follow up visits with Dr. Whittwell. Dr. Enrique Whittwell performs gastric sleeve procedures at 3 of the finest facilities in Miami; South Miami Hospital, Hialeah Hospital and Larkin Hospital. Special financing is available through CareCredit. This exclusive offer is available to patients who are serious about getting healthy and slim. Gastric sleeve (sleeve gastrectomy) is used to treat obesity. Enrique Whittwell, MD uses a minimally invasive, laparoscopic technique to surgically shrink and reshape your stomach to the size of a banana. Studies have shown that the gastric sleeve is superior to the gastric band for long-term weight loss. Gastric sleeve is associated with less pain and scarring, so you can recover quickly. With a smaller stomach, you’ll need less food to feel full. Your new, smaller stomach will no longer secrete the hormone that makes you crave food. That means no more out-of-control hunger cravings and raging appetites! That excess fat you’ve been carrying around will begin to melt off your body, revealing a slimmer, healthier you. Bariatric surgery is the most effective long-term treatment for obesity. There are significant health risks associated with obesity, and diet and exercise are not enough for many people. Weight loss results after the gastric sleeve procedure are similar to a gastric bypass without the band. That slim future you dream of can finally be a reality. Don’t pass up this opportunity – it’s time to lose the weight and get healthy. It could save your life. Act now. Attend a free seminar today to learn more or call (305) 665-0100 or complete our online form today! 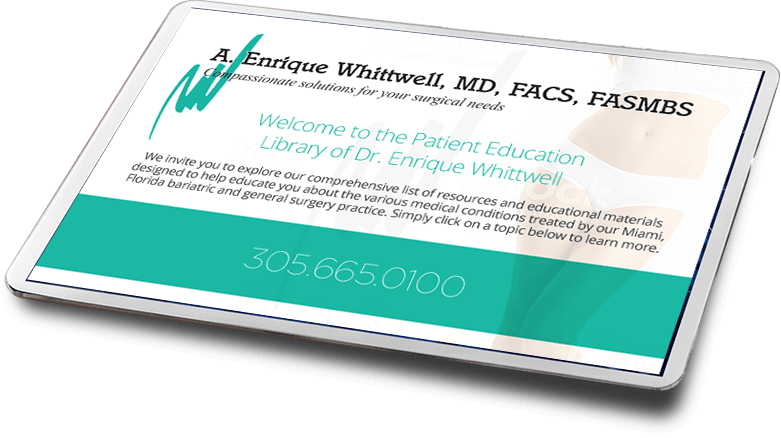 Dr. Enrique Whittwell is a world-class, compassionate surgeon with vast experience doing weight loss surgery procedures. He is a fellowship-trained, board-certified surgeon specializing in bariatric surgery. His entire career is devoted to giving patients an opportunity for a healthier, more fulfilling life. 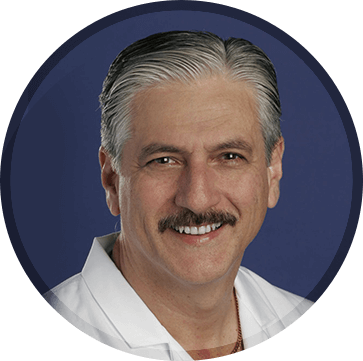 Dr. Enrique Whittwell is known for excellent results with weight loss surgery in Miami and beyond. Building a strong bond with my patients is as important to me as the surgeries I perform. I feel it is my responsibility to do more than provide surgical excellence. 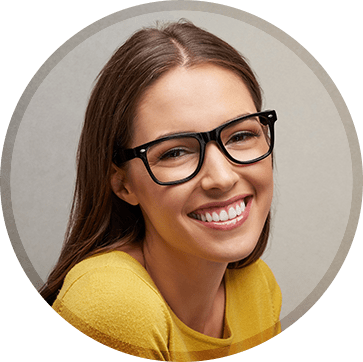 I strive to help you become informed about your treatment and comfortable with every aspect of your care.I believe that a positive, caring patient-doctor relationship can actually ease your discomfort and speed your recovery. I look forward to meeting you and welcoming you to my practice. Dr. Whittwell is an amazing surgeon who literally saved my life. At 300 pounds I was at the end of my rope when I heard about one of Dr. Whittwell’s seminars. After the seminar I had a consultation with him and he explained about the gastric sleeve procedure. He gave me a great deal of information and a thorough examination. I felt very safe in his care. 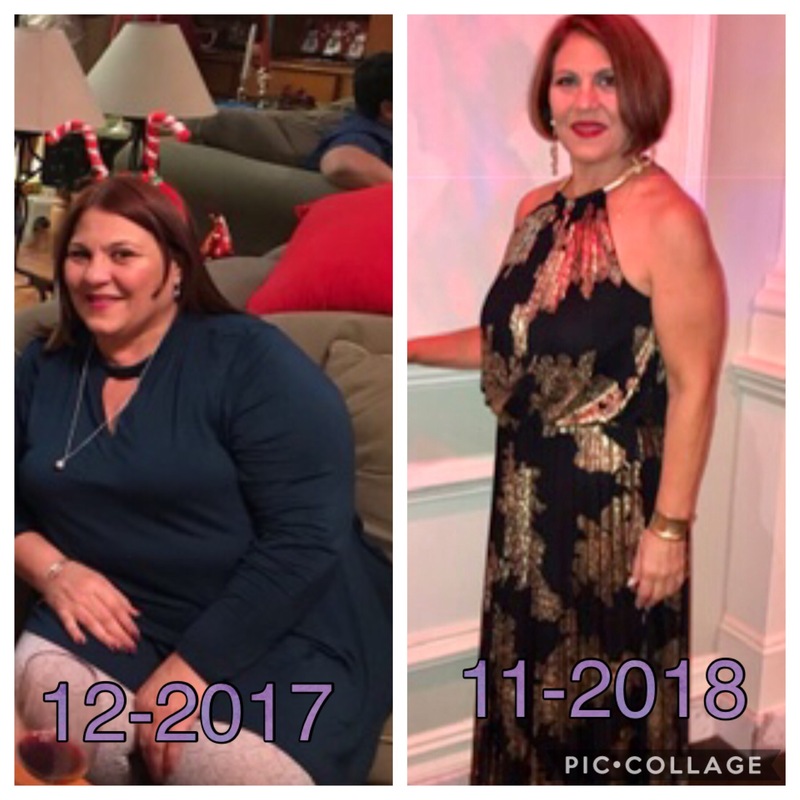 It has been a year since my surgery and I am down 110 pounds! I feel great and I had no problems recovering. This journey has completely changed my life. I have energy, I look forward to going out in public now and I feel optimistic for my future.